This article presents a timeline of binary prefixes used to name memory units, in comparison of decimal and binary prefixes for measurement of information and computer storage. Historically, computers have used two different approaches to memory addressing, binary and decimal. Early decimal computers included the ENIAC, UNIVAC 1, IBM 702, IBM 705, IBM 650, IBM 1400 series, and IBM 1620. Early binary addressed computers included Zuse Z3, Colossus, Whirlwind, AN/FSQ-7, IBM 701, IBM 704, IBM 709, IBM 7030, IBM 7090, IBM 7040, IBM System/360 and DEC PDP series. Decimal systems typically had memory configured in whole decimal multiples, e.g., blocks of 100 and later 1,000. The unit abbreviation 'K' or 'k' if it was used, represented multiplication by 1,000. Binary machine memory had sizes of powers of two or small multiples thereof. In this context, 'K' or 'k' was sometimes used to denote multiples of 1,024 units or just the approximate size, e.g., either '64K' or '65K' for 65,536 (216). The French Commission temporaire de Poids & Mesures rêpublicaines, Décrets de la Convention Nationale, proposes the binary prefixes double and demi, denoting a factor of 2 (21) and ​1⁄2 (2−1), respectively, in 1793. The same report also proposes decimal prefixes like "deci-" or "centi-" or "milli-". The prefixes double and demi are part of the original metric system adopted by France in 1795. These were not retained when the decadic SI prefixes were internationally adopted by the 11th CGPM conference in 1960. Metric prefixes "kilo-" (established 1795) and "mega-" (established 1873) are widely used as decimal multipliers 1,000 and 1,000,000 for units of frequency and impedance in the electronics industry. J. W. Tukey coins the word "bit" as an abbreviation of "binary digit". "The Whirlwind I Computer is planned with a storage capacity of 2,048 numbers of 16 binary digits each." Tukey's "bit" is referenced in the work of information theorist Claude Shannon. "Teaming up with a more experienced engineer, [Mike Haynes] built a core memory with just enough capacity to store all the information in an IBM punch card: 960 bits in an 80 × 12 array. In May 1952 it was successfully tested as a data buffer between a Type 405 alphabetical accounting machine and a Type 517 summary punch. This first functional test of a ferrite core memory was made in the same month that a four-times smaller 16 × 16-bit ferrite core array was successfully tested at MIT." The IBM 701, a binary-addressed computer containing 72 Williams tubes of 1024 bits each, is released in April. Principles of Operation Type 701 does not use prefixes with lengths of words or size of storage. For example, it specifies that memory tubes hold 2048 words each. The IBM 737 optional magnetic core storage stores 4,096 36-bit words. Each plane stored 64 × 64 = 4,096 bits. "Magnetic core storage units are available with capacities of either 4,096 or 32,768 core storage registers; or two magnetic core storage units, each with a capacity of 4,096 core storage registers, may be used. Thus, magnetic core storage units are available to give the calculator a capacity of 4,096, 8,192, or 32,768 core storage registers." "Each drum has a storage capacity of 2048 words." The IBM 702 (a decimally addressed machine) Preliminary Manual of Information uses decimal arithmetic for powers of ten, without prefixes. "Electrostatic memory is the principal storage medium within the machine. It consists of cathode ray tubes which can store up to 10,000 characters of information in the form of electrostatic charges .... Additional storage, as required, may be provided through the use of magnetic drum storage units, each having a capacity of 60,000 characters." "A character may be a letter of the alphabet, a decimal number, or any of eleven different punctuation marks or symbols used in report printing." The word byte, meaning eight bits, is coined by Dr. Werner Buchholz in June 1956, during the early design phase for the IBM Stretch computer. "The 650 RAMAC combines the IBM 650 Magnetic Drum Data Processing Machine with a series of disk memory units which are capable of storing a total of 24-million digits. The 305 RAMAC is an entirely new machine which contains its own input and output devices and processing unit as well as a built-in 5-million-digit disk memory." The IBM 705 (a decimal addressed machine) Operating manual uses decimal arithmetic for powers of ten, without prefixes. "A total of 40,000 characters can be stored within the main storage unit of the Type 705." "One or more magnetic drums are available as optional equipment with a capacity of 60,000 characters each." Earliest instance of "kilobit" in both IEEE explore and Google Scholar: "Central controls the mobile link with a rate of 20 kilobits per second, or less". The term 32k is used in print to refer to a memory size of 32768 (215). Real, P. (September 1959). "A generalized analysis of variance program utilizing binary logic". ACM '59: Preprints of papers presented at the 14th national meeting of the Association for Computing Machinery. ACM Press: 78–1–78–5. doi:10.1145/612201.612294. On a 32k core size 704 computer, approximately 28,000 datum may be analyzed, ... without resorting to auxiliary tape storage. The author is with the Westinghouse Electric Corporation. "In actual construction, the delay line, which provides a total delay from one end to the other of one baud (10 microseconds for a 100 kilobit per second information rate), may be fabricated from lumped parameter elements, i.e., inductors and capacitors, in a well-known manner." "At a 100 kilobit per second information rate, both mark and space signals will generally be transmitted in any 0.0001 sec, interval, and therefore this requirement is easily met with conventional resistors and capacitors." Gruenberger, Fred; Burgess, C. R. (October 1960). "Letters to the Editor". Communications of the ACM. 3 (10). doi:10.1145/367415.367419. The 8K core stores were getting fairly common in this country in 1954. The 32K store started mass production in 1956; it is the standard now for large machines and at least 200 machines of the size (or its equivalent in the character addressable machines) are in existence today (and at least 100 were in existence in mid-1959). A search of the Computer History Museum's Stretch collection of 931 text documents dated from September 1955 through September 1961 shows no usage of k or K to describe main storage size. Gray, L.; Graham, R. (1961). Radio Transmitters. New York, USA: McGraw-Hill. ISBN 0-07-024240-2. In the case of the transmission of business-machine or telemetered data, it is more usual to express the speed in bits or kilobits (1,000 bits) per second. "It is no longer reasonable to spend as much time to transmit an 80 bit address as 12 kilobits of message information-a 1500 to 1 ratio.... We have theoretically and experimentally proved that speech can be compressed from the straightforward requirement for 48 kilobit PCM channel capability to 2400 bits by the application of the Dudley syllabic vocoder." "The Additional Core Storage feature for the IBM 7090 Data Processing System provides a second IBM 7302 Core Storage, increasing the capacity of main storage by 32,768 words. The block of storage represented by both 7302 units is referred to as "main storage unit." "Additional core storage provides two methods of using main storage: (1) The 65K mode—the computer program is enabled to address both of the main storage units, and (2) the 32K mode—the computer program is able to address only one storage unit, so that main storage capacity available to that program is effectively 32,768 words." "Core storage units are available in 10,000-, 20,000- or 40,000-character position capacities." "The matrix switch makes it possible to address any one of the 100 X-drive lines (in a 10K core array)." "The 40K core array requires 40,000 valid five-position addresses from 0,000 to 39,999." "This operation check detects errors in programming that cause invalid addresses. Examples: 40,000-and-above on a 40K core array; 20,000-and-above on a 20K core array. On a 10K core array, invalid addresses are detected by the address-bus validity check." A reference to a "4k IBM 1401" meant 4,000 characters of storage (memory). "The main memory is a magnetic core ... The memory unit supplied as part of the basic central processor has a capacity of 2,048 characters, each of which is stored in a separate, addressable, memory location. This capacity may be expanded in modular increments by adding one 2,048-character module and additional 4,096-character modules." "Random access disc file and control (disc capacities of up to 100 million characters are available.)" "Up to eight drum storage units can be connected to the Model 270 Random Access Drum Control. Each drum provides storage for 2,621,441 characters, allowing a total capacity of approximately 21 million characters." Gene Amdahl's seminal April 1964 article on IBM System/360 used 1K to mean 1024. Leng, Gordon Bell, et al., use K in the binary sense: "The computer has two blocks of 4K, 18-bit words of memory, (1K=1024 words), attached to its central processor"
Falkin, Joel; Savastano, Sal (May 1963). "Sorting with large volume, random access, drum storage". Communications of the ACM archive. 6 (5): 240–244. doi:10.1145/366552.366580. The Teleregister Telefile data processor includes drum storage whose capacity is far in excess of the requirements for sorting. ... The Telefile data processor provides 16,000 positions in memory, each position storing one binary coded decimal character. A floating accumulator arrangement allows the accumulator to contain any field in memory from 1 to 100 characters in length. All indexing is accomplished programmatically. Input and output tape blocking is fixed at 300 characters per block. Data Processing Division press release distributed on April 7, 1964. "System/360 core storage memory capacity ranges from 8,000 characters of information to more than 8,000,000." "To facilitate understanding of the invention, the main storage area has been illustrated as being of 8K capacity; however, it is to be understood that the main storage area may be of larger capacity (e.g., 16K, 32K or 64K) by storing address selection control data in bit positions '2', '1' and '0' of M register 197, respectively." "Each IBM 2315 disk cartridge can hold the equivalent of more than one million characters of information. "One method of designing a slave memory for instructions is as follows. Suppose that the main memory has 64K words (where K=1024) and, therefore, 16 address bits, and that the slave memory has 32 words and, therefore, 5 address bits." "A core storage module, which is 20,000 addressable positions of magnetic core storage, is located in the 1620. Two additional modules are available ... Each core storage module (20,000 positions) is made up of 12 core planes as shown in Figure 3. Each core plane contains all cores for a specific bit value." "Note that 'K' as used herein indicates 'thousands.' Each storage location in the present embodiment includes 64 data bits and 8 related parity bits, as described herein." "Thus, if only storage unit 1A were provided, it would contain addresses 0 through 32K; storage IB would include addresses between 32K and 64K, storage 2A would contain addresses between 64K and 96K, ..."
Wallace Givens responded with a proposal to use "bK" as an abbreviation for 1024 and "bK2" or "bK2" for 1024×1024, though he noted that neither the Greek letter nor lowercase letter "b" would be easy to reproduce on computer printers of the day. "1401 features supported are advanced programming, sense switches, tapes, multiply, divide, 16K core, and all standard instructions except Select Stacker." "1401 core is simulated by 16,000 bytes of S/360 core obtained dynamically." "Enough core must be available to allow at least 70K for a problem program area. If tape simulation is not required, this core requirement may be reduced to 50K with the removal of the tape Buffer area." "The data word processor 606 handles the inflow and out-flow of byte-oriented input/output data and interleaved signals at a rate of, for example, 500 kilobytes per second. Instruction processing rates of four to eight per microsecond are required for such a data flow." "FIG. 2a shows a practical example of an operand address which consists of, for example 24 bits. It is assumed herein that each block includes 32 bytes, each sector includes 1 kilobyte, the buffer memory 116 includes 4 kilobytes, and read data is represented by one double word or 64 bits, as one word in this case consists of 32 bits." "Each module can store 29.17 million bytes or 58.35 million packed decimal digits ... total on-line storage capacity is 233.4 million bytes"
"Each 11-disc pack (20 surfaces) has a storage capacity of 29 megabytes; maximum storage capacity with the largest version using a ninth drive as a spare) is 233,400,000 bytes." "... each removable disc has a capacity of 2.3 million bytes or 3.07 million 6-bit characters. Up to four drives can be attached to a single controller, resulting in a total storage capacity of 9.2 megabytes." Usage of "million" and "mega-" in decimal sense to describe HDD. "The following are excerpts from an IBM Data Processing Division press technical fact sheet distributed on 30 June 1970. Users of the Model 165 will have a choice of five main core storage sizes, ranging from 512,000 to over 3-million bytes. Seven main memory sizes are available for the Model 155, ranging from 256,000 to over 2-million bytes." Weiler, Paul W.; Kopp, Richard S.; Dorman, Richard G. (May 1970). "A Real-Time Operating System for Manned Spaceflight". IEEE Transactions on Computers. 19 (5): 388–398. doi:10.1109/T-C.1970.222936. ISSN 0018-9340. "Each of the five system/360 model 75 computers (Fig. 2) has one megabyte of primary core storage plus four megabytes of large core storage (LCS, IBM 2361)." IBM System/360 Operating System: Storage Estimates, uses K in a binary sense approximately 450 times, such as ""System/360 Configuration: Model 40 with 64K bytes of storage and storage protection." Note the letter "K" is also sometimes used as a variable in this document (see page 23). Lin and Mattson introduce the term Mbyte. Lin, Yeong; Mattson, Richard (September 1972). "Cost-performance evaluation of memory hierarchies". IEEE Transactions on Magnetics. IEEE. 8 (3): 390–392. Bibcode:1972ITM.....8..390L. doi:10.1109/TMAG.1972.1067329. Also, random access devices are advantageous over serial access devices for backing store applications only when the memory capacity is less than 1 Mbyte. For capacities of 4 Mbyte and 16 Mbyte serial access stores with shift register lengths of 256 bit and 1024 bit, respectively, look favorable. OCEANPORT, N.J., SEPT. 25, 1973 – A 16-bit minicomputer priced at under $2,000.00 in quantities and a 32-bit minicomputer priced at under $6,000.00 in quantities were introduced today by Interdata, Inc. The 16-bit mini, the Model 7/16, includes an 8KB memory unit in its basic configuration, and will be available for delivery in the first quarter of 1974. The single unit price of the 7/16 is $3,200.00. The 32-bit mini, the Model 7/32, includes a 32KB memory unit and will be available for delivery in the second quarter of 1974. The single unit price of the 7/32 is $9,950.00. The seminal 1974 Winchester HDD article which makes extensive use of Mbytes with M being used in the conventional, 106 sense. Arguably all of today's HDD's derive from this technology. The October 1974 CDC Product Line Card unambiguously uses MB to characterize HDD capacity in millions of bytes. The 15th CGPM defines the SI prefixes peta, and exa as 1015 and 1018. "User memory starts at 16K bytes in the minimum configuration and can be expanded to 64K bytes (65,536)." The Memorex 1976 annual report has 10 instances of the use of megabyte to describe storage devices and media. Caleus Model 206-306 Maintenance Manual uses 3MB to characterize a drive having 3,060,000 bytes capacity. The first 5¼ inch floppy disk drive, the Shugart SA 400, is introduced in August 1976. The drive had 35 tracks and was single sided. The data sheet gives the unformatted capacity as 3125 bytes per track for a total of 109.4 Kbytes (3125 × 35 = 109,375). When formatted with 256 byte sectors and 10 sectors per track the capacity is 89.6 Kbytes (256 × 10 × 35 = 89,600). This first edition of the annual report on the hard disk drive industry makes extensive use of MB as 106 bytes. The industry, in 1977, is segmented into nine segments ranging from "Disk Cartridge Drives, up to 12 MB" to "Fixed Disk Drives, over 200 MB." While the categories changed during the next 22 years of publication, Disk/Trend, the principal marketing study of the hard disk drive industry always and consistently categorized the industry in segments using prefixes M and later G in the decimal sense. VAX11/780 Architecture Handbook 1977–78. Copyright 1977 Digital Equipment Corporation. Page 2-1 "physical address space of 1 gigabyte (30 bits of address)" The initial hardware was limited to 2 M bytes of memory utilizing the 4K MOS RAM chips. The VAX11/780 handbooks use M byte and Mbyte in the same paragraph. "Storage capacity (unformatted)" "67.4 MB", "84.2 MB", etc. Page 9: "Memory for the V77-800 is available in 128K byte and 256K byte increments up to a maximum of 2 megabytes"
Page 21: Moving Head Disks – units up to 232 million byte disk pack systems. Diskette – storage of 0.5 MB per drive. Shugart Associates Product Brochure, published June 1980 specifies the capacity of its two HDDs using megabytes and MB in a decimal sense, e.g. SA1000 formatted capacity is stated as "8.4 MB" and is actually 256×32×1024 = 8,388,608 bytes. The same data sheet uses MByte in a decimal sense. "The 8086 MAS is 1 megabyte (1,048,576)"
"four models ... the Q2010 having an unformatted 10.66 Mb capacity on one disk platter and two heads, the ... 21.33 Mb ... 32.00 Mb ... 42.66 Mb"
"Storage capacity of 10, 20, 30, or 40 megabytes"
"Formatted Data Capacity: 140K bytes"
"User memory: 16KB to more than 512KB", "single-sided 160KB or double-sided 320KB diskette drives"
"The drives are soft sectored, single or double sided, with 40 tracks per side. They are Modified Frequency Modulation (MFM) coded in 512 byte sectors, giving a formatted capacity of 163,840 bytes per drive for single sided and 327,680 bytes per drive for double sided." "Total formatted capacity [...] is 5/10 megabytes (32 sectors per track, 256 bytes per sector, 612/1224 tracks)"
"In this publication, the letters K, M and G denote the multipliers 210, 220 and 230 respectively. Although the letters are borrowed from the decimal system and stand for kilo 103, mega 106 and giga 109 they do not have decimal meaning but instead present the power of 2 closest to the corresponding power of 10." "Total unformatted capacity (in kilobytes): 358.0"
Shugart Associates, one of the leading FD companies used k in a decimal sense. The Macintosh Operating System is the earliest known operating system using the prefix K in a binary sense to report memory size and HDD capacity. In the original 1984 Apple Macintosh ad, page 8, Apple characterized its 3½ floppy disk as "400K," that is, 800×512 byte sectors or 409,600 bytes = 400 KiB. 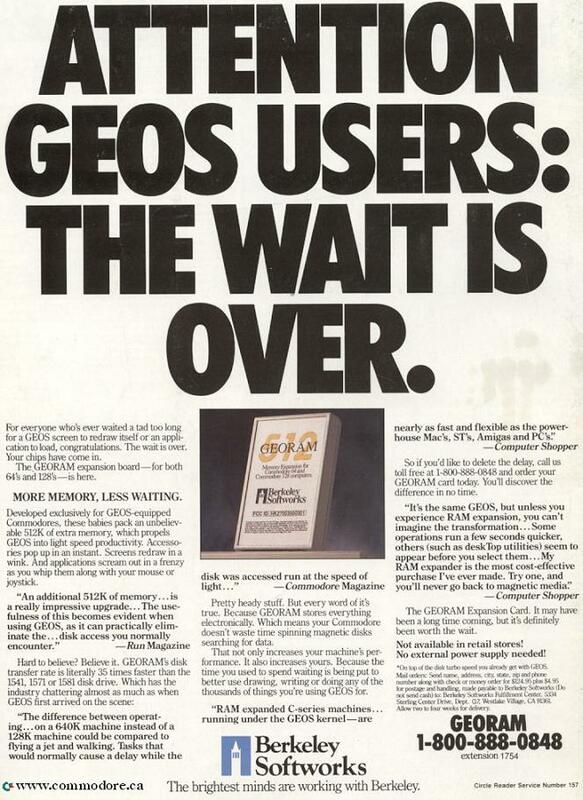 Similarly, the February 1984 Byte Magazine review describes the FD as "400K bytes". The user data is 39,040 × 512 = 19,988,480 bytes here. ProDos16 uses MB in a binary sense. First use of GB in a decimal sense in this HDD marketing survey; Figure 1 states "FIXED DISK DRIVES more than 1 GB" market size as $10,786.6 million. Webster's Ninth New Collegiate Dictionary (1987) has binary definitions for kilobyte and megabyte. "Capacity of 1.2 gigabyte (GB)"
Electronic News, 25 September 1989, "Market 1.5GB Drives"
"Imprimis and Maxtor are the only two drive makers to offer the new generation of drives in the 1.5GB capacity range..."
"IBM, Hewlett-Packard, Fujitsu, Toshiba, Hitachi and Micropolis are expected to enter the market for 1.5GB capacity..."
The enhanced DOS command line processor 4DOS 3.00 supports a number of additional conditions (DISKFREE, DOSMEM/DOSFREE, EMS, EXTENDED, FILESIZE and XMS) in IF commands, which allow to test for sizes in bytes, kilobytes (by appending a K) or megabytes (by appending an M), where 1K is defined as 1024 bytes and 1M is defined as 1024*1024 bytes. This is the first known instance of an operating system or utility using M in a binary sense. "Storage capacity, formatted" "1.216 gigabytes"
The 19th CGPM defines the SI prefixes zetta, and yotta as 1021 and 1024. May 13: Apple releases Macintosh System 7 containing Finder 7.0 which uses M in a binary sense to describe HDD capacity. The HP 95LX uses "1MB" in a binary sense to describe its RAM capacity. Similar to a feature in 4DOS 3.00, the enhanced command line processor 4DOS 4.00 adds support for a number of variable functions (like %@FILESIZE[...]%), taking special arguments to control the format of the returned values: The lowercase letters k and m are used as decimal prefixes, whereas the uppercase letters K and M are used in their binary meaning. While the HP 48G calculators are labelled 32K or 128K to describe their built-in SRAM capacity in a binary sense, the user manual variably uses the terms KB, KBytes and kilobytes in the same meaning. The enhanced command line processor 4DOS 5.00 introduces the concept of a general size range parameter /[smin,max] for file selection, recognizing lowercase letters k and m as decimal prefixes and uppercase letters K and M as binary prefixes. Feb: Microsoft Windows for Workgroup 3.11 File Manager uses MB in a binary sense to describe HDD capacity. Prior versions of Windows only used K in a binary sense to describe HDD capacity. The HP 200LX models use "1MB"/"2MB"/"4MB" in a binary sense to describe their RAM capacity. FOLDOC defines the exabyte (1 EB) as 1024 petabytes (1024 PB), with petabyte used in the binary sense of 10245 B.
Markus Kuhn proposes a system with di prefixes, like the "dikilobyte" (K₂B) and "digigabyte" (G₂B). It did not see significant adoption. IEEE requires prefixes to take the standard SI meaning (e.g., mega always to mean 10002). Exceptions for binary meaning (mega to mean 10242) are permitted as an interim measure (where pointed out on a case by case basis) until a binary prefix could be standardised. FOLDOC defines the zettabyte (1 ZB) as 1024 exabytes (1024 EB) and the yottabyte (1 YB) as 1024 zettabytes (1024 ZB). Adopting Barrow's proposal, IEC introduces unambiguous prefixes for binary multiples (KiB, MiB, GiB etc. ), reserving kB, MB, GB and so on for their decimal sense. Donald Knuth, who uses decimal notation like 1 MB = 1000 kB, expresses "astonishment" that the proposal was adopted by the IEC, calling them "funny-sounding", and proposes that the powers of 1024 be designated as "large kilobytes" and "large megabytes" (abbreviated KKB and MMB, as "doubling the letter connotes both binary-ness and large-ness"). Double prefixes were formerly used in the metric system, however, with a multiplicative meaning ("MMB" would be equivalent to "TB"), and this proposed usage never gained any traction. "... Although these numbers appear to yield a capacity of 2.98 GiB per sled, the capacity decreases ... This yields an effective capacity of about 2.098 GiB per sled. ..."
The IEEE 802.11-1999 standard introduces the binary time unit TU defined as 1024 µs. Page 59, list the power of 2 and 16, and their decimal value. There is a column name 'Symbol', which list K (kilo), M (mega), G (giga), T (tera), P (peta) and E (exa) for the power of 2 of, respectively, 10, 20, 30, 40, 50, 60. Peuhkuri adopts IEC prefixes in his paper at the 2001 Internet Measurement Conference: "... allows maximum size of 224 that requires 1 GiB of RAM ... or acknowledgement numer [sic] is within 32 KiB range. ... on a PC with Celeron processor with 512 MiB of memory ..."
The Linux kernel uses IEC prefixes. Marcus Kuhn introduces the term kibihertz to mean 1024 Hz. "Most embedded clocks (state of the art is still a calibrated 32 kibihertz crystal) have a frequency error of at least 10^-5 (10 ppm), and therefore drift away from the TAI rate faster than 1 second per week." use the symbols ZiB, YiB, accompanied by notes explaining that these are "a GNU extension to IEC 60027-2"
The World Wide Web Consortium publishes a Working Group Note describing how to incorporate IEC prefixes into mathematical markup. 2004 revision of IEEE Standard Letter Symbols for Units of Measurement (SI Units, Customary Inch-Pound Units, and Certain Other Units), IEEE Std 260.1, incorporates IEC definitions for KiB, MiB etc, reserving the symbols kB, MB etc for their decimal counterparts. IEC prefixes are adopted by the IEEE after a two-year trial period. On March 19, 2005 the IEEE standard IEEE 1541-2002 (Prefixes for Binary Multiples) was elevated to a full-use standard by the IEEE Standards Association after a two-year trial period. In addition to the k and m decimal as well as the K and M binary prefixes, 4DOS 7.50.141 (2006-12-24) adds support for g and G as decimal respective binary prefixes in variable functions and size range parameters. IBM uses "exabyte" to mean 10246 bytes. "Each address space, called a 64-bit address space, is 16 exabytes (EB) in size; an exabyte is slightly more than one billion gigabytes. The new address space has logically 264 addresses. It is 8 billion times the size of the former 2-gigabyte address space, or 18,446,744,073,709,600,000 bytes." p. 29, "The names and symbols for the prefixes corresponding to 210, 220, 230, 240, 250, and 260 are, respectively: kibi, Ki; mebi, Mi; gibi, Gi; tebi, Ti; pebi, Pi; and exbi, Ei. Thus, for example, one kibibyte is also written as 1 KiB = 2 10 B = 1024 B, where B denotes the unit byte. Although these prefixes are not part of the SI, they should be used in the field of information technology to avoid the non-standard usage of the SI prefixes." The binary prefixes are defined in IEC Standard IEC 80000-13, formally incorporating them into the International System of Quantities (ISQ) as part of the combined ISO/IEC series of standards of quantities and units. "The name of the file currently being transferred. The part of the individual file that has already been transferred is displayed in B, KiB, MiB. GiB, or TiB along with total size of the file in parentheses. The unit of measurement displayed depends on the size of the file. B is bytes per second. KiB/s is kibibytes per second, where 1 kibibyte equals 1024 bytes. MiB/s is mebibytes per second, where 1 mebibyte equals 1 048 576 bytes. GiB/s is gibibytes per second where 1 gibibyte equals 1 073 741 824 bytes. TiB/s is tebibytes per second where 1 tebibyte equals 1 099 511 627 776 bytes." "The rate the file is being transferred in KiB/s (kibibytes per second, where 1 kibibyte equals 1024 bytes.)" Frank Löffler and co-workers report disk size and computer memory in tebibytes. "For the largest simulations using 2048 cores this sums up to about 650 GiB per complete checkpoint and about 6.4 TiB in total (for 10 checkpoints)." and then adopted metric prefixes for reporting decimal file sizes. The Ubuntu operating system uses the SI prefixes for base-10 numbers and IEC prefixes for base-2 numbers as of the 10.10 release. "Blue Waters will comprise more than 300.000 POWER7 cores, more than 1 PiB memory, more than 10 PiB disk storage, more than 0.5 EiB archival storage, and achieve around 10 PF/s peak performance." HP publishes a leaflet explaining use of SI and binary prefixes "To reduce confusion, vendors are pursuing one of two remedies: they are changing SI prefixes to the new binary prefixes, or they are recalculating the numbers as powers of ten." "For disk and file capacities, the latter remedy is more popular because it is much easier to recognize that 300 GB is the same as 300,000 MB than to recognize that 279.4 GiB is the same as 286,102 MiB." "For memory capacities, binary prefixes are more natural. For example, reporting a Smart Array controller cache size of 512 MiB is preferable to reporting it as 536.9 MB." "HP is considering modifying its storage utilities to report disk capacity with correct decimal and binary values side-by-side (for example, '300 GB (279.4 GiB)'), and report cache sizes with binary prefixes ('1 GiB')." The GNU operating system uses the SI prefixes for base-10 numbers and IEC prefixes for base-2 numbers as of the parted-2.4 release (May 2011). "specifying partition start or end values using MiB, GiB, etc. suffixes now makes parted do what I want, i.e., use that precise value, and not some other that is up to 500KiB or 500MiB away from what I specified. Before, to get that behavior, you would have had to use carefully chosen values with units of bytes ('B') or sectors ('s') to obtain the same result, and with sectors, your usage would not be portable between devices with varying sector sizes. This change does not affect how parted handles suffixes like KB, MB, GB, etc." "Note that as of parted-2.4, when you specify start and/or end values using IEC binary units like 'MiB', 'GiB', 'TiB', etc., parted treats those values as exact, and equivalent to the same number specified in bytes (i.e., with the 'B' suffix), in that it provides no 'helpful' range of sloppiness. Contrast that with a partition start request of '4GB', which may actually resolve to some sector up to 500MB before or after that point. Thus, when creating a partition, you should prefer to specify units of bytes ('B'), sectors ('s'), or IEC binary units like 'MiB', but not 'MB', 'GB', etc." On its Archive Project Request Form, the University of Oxford uses IEC prefixes: "The initial amount of data to be archived ( MiB GiB TiB )"
The IBM Style Guide permits IEC prefixes or "SI prefixes" if used consistently and explained to the user "Whether you choose to use IEC prefixes for powers of 2 and SI prefixes for powers of 10, or use SI prefixes for a dual purpose ... be consistent in your usage and explain to the user your adopted system." June: Toshiba describes data transfer rates in units of MiB/s. In the same Press Release, SSD storage capacity is given in decimal gigabytes, accompanied by the footnote "One Gigabyte (GB) means 109 = 1,000,000,000 bytes using powers of 10. A computer operating system, however, reports storage capacity using powers of 2 for the definition of 1 GB = 1,073,741,824 bytes and therefore shows less storage capacity"
"Itasca is an HP Linux cluster with 1,091 HP ProLiant BL280c G6 blade servers, each with two quad-core 2.8 GHz Intel Xeon X5560 'Nehalem EP' processors sharing 24 GiB of system memory, with a 40-gigabit QDR InfiniBand (IB) interconnect. In total, Itasca consists of 8,728 compute cores and 24 TiB of main memory." "Cascade consists of a Dell R710 head/login node, 48 GiB of memory; eight Dell compute nodes, each with dual X5675 six-core 3.06 GHz processors and 96 GiB of main memory; and 32 Nvidia M2070 GPGPUs. A compute node is connected to four GPGPUs, each of which has 448 3.13 GHz cores and 5 GiB of memory. Each GPU is capable of 1.2 single-precision TFLOPS and 0.5 double-precision TFLOPs." Phidgets Inc describes PhidgetSBC3 as a "Single board computer running Debian 7.0 with 128 MiB DDR2 SDRAM, 1 GiB Flash, integrated 1018 and 6 USB 2.0 High Speed 480Mbits/s ports". "To reduce the possibility of confusion, this information center represents data storage using both decimal and binary units. Data storage values are displayed using the following format:#### decimal unit (binary unit). By this example, the value 512 terabytes is displayed as: 512 TB (465.6 TiB)"
February: Toshiba distinguishes unambiguously between decimal and binary prefixes by means of footnotes. Hybrid drives MQ01ABD100H and MQ01ABD075H are described as having a buffer size of 32 MiB. "1 MB (megabytes) = 1,000,000 bytes, 1 GB (gigabytes) = 1,000,000,000 bytes, 1 TB (terabytes) = 1,000,000,000,000 bytes"
"KiB (kebibytes [sic]) = 1,024 (210 bytes), MiB (mebibytes) = 1,048,576 (220) bytes, GiB (gibibytes) = 1,073,741,824 (230) bytes". PRACE Best Practice Guide uses IEC prefixes for net capacity (300 TiB) and throughput (2 GiB/s). Nicla Andersson, of Sweden's National Supercomputer Centre, Sweden, refers to the NSC's Triolith as having "42.75 TiB memory" and "75 TiB/s aggregate memory BW" and to a 2018 DARPA target of "32–64 PiB memory"
August: Mitsuo Yokokawa, of Kobe University, describes the Japanese K Computer as having "1.27 (1.34) PiB" of memory. The official file server of the University of Stuttgart reports file sizes in gibibytes (GiB) and tebibytes (TiB). "Larger, 1.1 GB (1 GiB) internal buffer on Model E06/EU6, 536.9 MB (512 MiB) for Model E05, 134.2 MB (128 MiB) for Model J1A"
"Up to 160 Mibit/sec. native data rate for the Models E06 and EU6, four times faster than the model J1A at 40 Mibit/sec. (Up to 100 Mibit/sec. for the Model E05)"
Maple 17 uses MiB and GiB as units of memory usage. November: The online computer dictionary FOLDOC defines the megabyte as one million (10002) bytes. "the [Sequia (IBM)] contains in total 1,572,864 processor cores with 1.5 PiB memory"
"The total CPU plus coprocessor memory [of the Tianhe-2 (NUDT)] is 1,375 TiB." CDBurnerXP states disc sizes in mebibytes (MiB) and gibibytes (GiB), clarifying that "in Windows, if you see GB or MB it usually refers to GiB or MiB respectively". September: HP Best Practices Guide prescribes binary prefixes for base 2 and SI prefixes for base 10. ^ "Chapter III, Analysis and Trends". Ballistic Research Laboratories Report No. 1115: 1027. March 1961. Of 187 different relevant systems, 131 utilize a straight binary system internally, whereas 53 utilize the decimal system (primarily binary coded decimal) and 3 systems utilize a binary-coded alphanumeric system of notation. ^ Commission temporaire de Poids & Mesures rêpublicaines, En exécution des Décrets de la Convention Nationale (1793). Instruction abrégée sur les mesures déduites de la grandeur de la Terre; uniformes pour toute la Rêpublique, et sur les Calculs relatifs à leur division décimale (in French) (original ed.). Paris, France: De l´imprimerie nationale exécutive du Louvre. Retrieved October 9, 2015. ^ "La Loi Du 18 Germinal An 3 – Décision de tracer le mètre, unité fondamentale, sur une règle de platine. Nomenclature des "mesures républicaines". Reprise de la triangulation" (in French). histoire.du.metre.free.fr. Retrieved October 12, 2015. ^ "HK-354 Gammatron Advertisement" (PDF). Tubecollectors.org. Retrieved June 23, 2016. ^ a b "Bit: n.: from the mainstream meaning and "Binary digIT"". Catb.org. Retrieved June 23, 2016. ^ "Project Whirlwind (Device 24-x-3): Report R-127" (PDF). Bitsavers.org. Retrieved June 23, 2016. ^ a b Tristik, Len; Linda; Wolfe, Karyn, eds. (October 21, 2002). "Mitch Waldrop / Waldrop Revolution" (Waldrop Lecture transcript). Computer History Museum. CHMP-03. Archived from the original on September 27, 2007. Retrieved October 27, 2015. ^ "Computer History Museum's Stretch collection". 2004. Archived from the original on January 27, 2007. Retrieved October 27, 2015. ^ "Core Memory". Columbia.edu. Retrieved June 23, 2016. ^ Pugh, Emerson W. Building IBM: Shaping an Industry and Its Technology. Books.google.com. p. 209. Retrieved June 23, 2016. ^ "IBM 701". Thocp.net. February 26, 2002. Retrieved June 23, 2016. ^ "The IBM 701". Columbia.edu. May 12, 2006. Retrieved June 23, 2016. ^ "Principles of Operation Type 701" (PDF). Bitsavers.org. Retrieved June 23, 2016. ^ "IBM Archives: IBM 706 Electrostatic storage unit". 03.ibm.com. Retrieved June 23, 2016. ^ "IBM Archives: IBM 731 Magnetic drum reader/recorder". 03.ibm.com. Retrieved June 23, 2016. ^ "IBM Archives: IBM 737 Magnetic core storage unit". 03.ibm.com. October 1, 1954. Retrieved June 23, 2016. ^ "737 Magnetic Core Storage: Customer Engineering Reference Manual" (PDF). Bitsavers.org. p. 60-16. Retrieved June 23, 2016. ^ "704 Electronic Data Processing Machine" (PDF). Bitsavers.org. Retrieved June 23, 2016. ^ "Electronic Date Processing Machines: Type 702" (PDF). Bitsavers.org. Retrieved June 23, 2016. ^ "IBM Archives: 650 RAMAC announcement press release". 03.ibm.com. September 14, 1956. Retrieved June 23, 2016. ^ "Electronic Date Processing machines: Type 705" (PDF). Bitsavers.org. Retrieved June 23, 2016. ^ Lewis, W. D. (June 1957). "Coordinated broadband mobile telephone system". IRE Transactions on Vehicular Communications. 9: 43–48. doi:10.1109/iretvc1.1957.225084. ^ "Binary Serial Disk File and Error Correction" (PDF). computerhistory.org. ^ "Resolution 12 of the 11th CGPM". BIPM. Retrieved June 23, 2016. ^ Halina, J. (September 1961). "The Telephone Channel in a Global Communications System". Communications, IEEE Transactions. 9. IEEE International. pp. 247–252. ISSN 0096-2244. Retrieved March 22, 2007. ^ "IBM 7090 Date Processing System, Additional Core Storage – RPQ E02120" (PDF). Bitsavers.org. Retrieved June 23, 2016. ^ Sonquiest, John A. (December 1962). "Fixed-word-length arrays in variable-word-length computers". Communications of the ACM. ACM Press. 5 (12): 602. doi:10.1145/355580.369093. The following scheme for assigning storage for fixed-word-length arrays seems to meet these criteria and has been used successfully in working with linear arrays on a 4k IBM 1401. ^ Ludwig, G. H. (August 1963). "The Orbiting Geophysical Observatories". Space Science Reviews. 2 (2): 175–218. Bibcode:1963SSRv....2..175L. doi:10.1007/BF00216779. The data handling bit rates can be set by ground command at 1000, 8000, or 64 000 bits per second for the EGO missions, or at 4000, 16 000, or 64 000 bits per second for the POGO missions. ... depending on whether the 1, 4, 8, 16, or 64 kilobit rate is in use. ^ "Gordon Bell: Computers, Projects, Patents, Books, and Papers". Research.microsoft.com. Retrieved June 23, 2016. ^ C. G. Bell, J. Leng, J. A. Quarrington and P. K. Patwardham "A Time-Shared Computer for Real-Time Information Processing," Instrumentation Techniques in Nuclear Pulse Analysis, National Academy of Sciences-National Research Council, Washington, D. C. Publication 1184, Report #40, (1964). ^ "IBM Archives: System/360 Announcement". 03.ibm.com. April 7, 1964. Retrieved June 23, 2016. ^ "IBM 7090/7094 Support Package for IBM System/360" (PDF). Bitsavers.org. Retrieved June 23, 2016. ^ "IBM 1130 Press Release". Ibm1130.net. February 11, 1965. Retrieved June 23, 2016. ^ Wilkes, M. V. (April 1965). "Slave Memories and Dynamic Storage Allocation". IEEE Transactions on Electronic Computers. EC-14 (2): 270–271. doi:10.1109/PGEC.1965.263967. One method of designing a slave memory for instructions is as follows. Suppose that the main memory has 64K words (where K=1024) and, therefore, 16 address bits, and that the slave memory has 32 words and, therefore, 5 address bits. ^ Announcement of Univac 9400 as reported in the February 1968 edition of Byte magazine. ^ Morrison, Donald R. (March 1968). "Letters to the editor: Abbreviations for computer and memory sizes". Communications of the ACM. Sandia Corporation. 11 (3): 150. doi:10.1145/362929.362962. ^ Givens, Wallace (June 1968). "Letters to the editor: proposed abbreviation for 1024: bK". Communications of the ACM. Applied National Lab. 11 (6): 391. doi:10.1145/363347.363351. ^ Martin, Bruce Alan (October 1968). "Letters to the editor: On binary notation". Communications of the ACM. Associated Universities Inc. 11 (10): 658. doi:10.1145/364096.364107. ^ "PDP11 Handbook" (PDF). Research.microsoft.com. Retrieved June 23, 2016. ^ "IBM Archives: System/370 Model 155 (continued)". 03.ibm.com. June 30, 1970. Retrieved June 23, 2016. ^ "Twelfth Edition" (PDF). Bitsavers.org. January 1971. Retrieved June 23, 2016. ^ "Notes from industry". Portal.acm.org. doi:10.1145/1217132.1217137. Retrieved June 23, 2016. ^ "PDP11-40 Manual: Page 9/212". Pdos.csail.mit.edu. Retrieved June 23, 2016. ^ "Flexible Disk Drive: Model Number 9400" (PDF). Bitsavers.org. Retrieved June 23, 2016. ^ "Resolution 10 of the 15th CGPM". BIPM. Retrieved June 23, 2016. ^ "Computer structures". Portal.acm.org. doi:10.1145/633617.803541. Retrieved June 23, 2016. ^ "Welcome to the Information Technology Corporate Histories Collection". Computerhistory.org. Retrieved June 23, 2016. ^ "Drive Type 100 TPI & 200 TPI: Specifications" (PDF). Bitsavers.org. Retrieved June 23, 2016. ^ "SA400 minifloppy". Swtpc.com. August 14, 2013. Retrieved June 23, 2016. ^ "Sperry Univac Series V77 Minicomputer Systems: Power, Performance, Productivity, 1978" (PDF). Archive.computerhistory.org. Retrieved June 23, 2016. ^ "Quantum Service Manual: Q2000 8" Media Fixed Disk Drive" (PDF). Bitsavers.org. Archived from the original (PDF) on September 7, 2012. Retrieved June 23, 2016. ^ "Apple Disk: Accessories" (GIF). Macmothership.com. Retrieved June 23, 2016. ^ "Apple Disk III" (GIF). Macmothership.com. Retrieved June 23, 2016. ^ "Check us out" (JPG). Digitalize.textfiles.com. Retrieved June 23, 2016. ^ "ST 506/412 OEM Manual" (PDF). Bitsavers.org. Retrieved June 23, 2016. ^ "The Maxtor XT-1000 Family: Fixed Disk Drives" (PDF). Bitsavers.org. Retrieved June 23, 2016. ^ Wichary, Marcin. "GUIdebook > Screenshots > System 1.1". Guidebookgallery.org. Retrieved June 23, 2016. ^ Williams, Gregg (January 20, 2004). "Attached > Computer history &gt Macintosh preview in Byte". Aresluna.org. Retrieved June 23, 2016. ^ "Universal Installation Handbook" (PDF). Bitsavers.org. Retrieved June 23, 2016. ^ Brothers, Hardin; Rawson, Tom; Conn, Rex C. (March 7, 1990). 4DOS.DOC 3.00. 3.00. ^ "RA90/RA92 Disk Drive Service Manual" (PDF). Bitsavers.org. Retrieved June 23, 2016. ^ "Resolution 4 of the 19th CGPM". BIPM. Retrieved June 23, 2016. ^ "System 7.0 – Will it be on apple.com?". Macgui.com. Retrieved June 23, 2016. ^ Wichary, Marcin. "GUIdebook > Screenshots > File manager". Guidebookgallery.org. Retrieved June 23, 2016. ^ Brothers, Hardin; Rawson, Tom; Conn, Rex C. (November 1, 1991). 4DOS.DOC 4.00. 4.00. ^ a b c Brothers, Hardin; Rawson, Tom; Conn, Rex C.; Paul, Matthias; Dye, Charles E.; Georgiev, Luchezar I. (February 27, 2002). 4DOS 8.00 online help. ^ HP 48G Series – User's Guide (UG) (8 ed.). Hewlett-Packard. December 1994 . HP 00048-90126, (00048-90104). Retrieved September 6, 2015. ^ Brothers, Hardin; Rawson, Tom; Conn, Rex C. (November 23, 1993). 4DOS.DOC 5.00. 5.00. ^ a b "Microsoft Windows History". Computerhope.com. Retrieved June 23, 2016. ^ "Computing Dictionary". Foldoc.org. November 4, 2013. Retrieved June 23, 2016. ^ Kuhn, Markus (December 29, 1996). "Standardized units for use in information technology". Cl.cam.ac.uk. Retrieved June 23, 2016. ^ "IEC prefixes and symbols for binary multiples". Members.optus.net. Retrieved June 23, 2016. ^ "Definitions of the SI units: The binary prefixes". Physics.nist.gov. Retrieved June 23, 2016. ^ "Knuth: Recent News". Cs-staff.stanford.edu. Retrieved June 23, 2016. ^ Schlosser, Steven W.; Griffin, John Linwood; Nagle, David F.; Ganger, Gregory R. (November 1999). "Filling the Memory Access Gap: A Case for On-Chip Magnetic Storage". Dtic.mil. Retrieved June 23, 2016. ^ Maufer, Thomas (2004). A Field Guide to Wireless LANs: For Administrators and Power Users. The Radia Perlman Series in Computer Networking and Security Series. Prentice Hall Professional. p. 144. ISBN 9780131014060. 0131014064. Retrieved October 27, 2015. ^ "A method to compress and anonymize packet traces". Portal.acm.org. doi:10.1145/505202.505233. Retrieved June 23, 2016. ^ "UNITS". Linux Programmer's Manual. December 22, 2001. Archived from the original on September 2, 2007. Retrieved May 20, 2007. When the Linux kernel boots and says hda: 120064896 sectors (61473 MB) w/2048KiB Cache the MB are megabytes and the KiB are kibibytes. ^ "Configure.help editorial policy". Lwn.net. Retrieved June 23, 2016. ^ "Re: [LEAPSECS] Leap second status? from Markus Kuhn on 2002-11-28 (LEAPSECS at USNO)". Ucolick.org. Retrieved June 23, 2016. ^ "Units in MathML". W3.org. Retrieved June 23, 2016. ^ Smart, Zoë (April 7, 2012). "Obituary – Anders J. Thor, a universal linguist | IEC e-tech | June 2012". Iec.ch. Archived from the original on July 2, 2012. Retrieved June 23, 2016. ^ "IEEE-SA STANDARDS BOARD STANDARDS REVIEW COMMITTEE (RevCom) MEETING AGENDA". March 19, 2005. Retrieved February 25, 2007. 1541–2002 (SCC14) IEEE Trial-Use Standard for Prefixes for Binary Multiples [No negative comments received during trial-use period, which is now complete; Sponsor requests elevation of status to full-use.] Recommendation: Elevate status of standard from trial-use to full-use. Editorial staff will be notified to implement the necessary changes. The standard will be due for a maintenance action in 2007. ^ "Why does Explorer use the term KB instead of KiB?". Blogs.msdn.com. Retrieved June 23, 2016. ^ "A brief history of virtual storage and 64-bit addressability". Retrieved February 17, 2007. ^ Taylor, Barry N.; Thompson, Ambler, eds. (2008). The International System of Units (SI) (PDF). Gaithersburg, MD: National Institute of Standards and Technology. p. 23. Retrieved June 18, 2008. ^ "IBM Knowledge Center". Pic.dhe.ibm.com. October 24, 2014. Retrieved June 23, 2016. ^ "News – Snow Leopard: 1 GB = 1000 MB". macprime.ch. June 19, 2009. Retrieved August 29, 2009. ^ "How Mac OS X reports drive capacity". Apple. August 27, 2009. Retrieved August 30, 2009. ^ Löffler, Frank; Allen, Gabrielle; Schnetter, Erik. "BENCHMARKING PARALLEL I/O PERFORMANCE FOR A LARGE SCALE SCIENTIFIC APPLICATION ON THE TERAGRID" (PDF). Cct.lsu.edu. Retrieved June 23, 2016. ^ "Ubuntu implements units policy, will switch to base-10 units in future release". Neowin.net. Retrieved June 23, 2016. ^ "UnitsPolicy – Ubuntu Wiki". Wiki.ubuntu.com. Retrieved June 23, 2016. ^ Arimilli, Baba; et al. "The PERCS High-Performance Interconnect" (PDF). Spcl.inf.ethz.ch. Retrieved June 23, 2016. ^ "parted-2.4 released [stable]". Lists.gnu.org. May 18, 2011. Retrieved June 23, 2016. ^ "Parted User's Manual". Gnu.org. Retrieved June 23, 2016. ^ DeRespinis, F., Hayward, P., Jenkins, J., Laird, A., McDonald, L., & Radzinski, E. (2011). The IBM style guide: conventions for writers and editors. IBM Press. ^ "Toshiba Announces High-Performance, Power-Efficient Solid State Drives Targeted at Broad Range of Notebook, Desktop, Embedded and Commercial Markets" (PDF). Storage.toshiba.com. Retrieved June 23, 2016. ^ "Patent WO2012098399A2 – Low-power oscillator – Google Patents". Google.com. Retrieved June 23, 2016. ^ "Data storage architecture extension system and method – KLUGHART KEVIN MARK". Freepatentsonline.com. Retrieved June 23, 2016. ^ "Best Practice Guide – Anselm – PRACE Research Infrastructure". Prace-project.eu. June 3, 2016. Retrieved June 23, 2016. ^ "TSEA28, Datorteknik Y" (PDF). Nsc.liu.se. Retrieved June 23, 2016. ^ "Experiences of the Development of the Supercomputers" (PDF). Tmrc2013.riec.tohoku.ac.jp. Retrieved June 23, 2016. ^ "Index of /". Ftp.uni-stuttgart.de. Retrieved June 23, 2016. ^ Coyne, Larry; Denefleh, Katja; Hew, Joe; Newton, Rex; Pacini, Aderson; Reich, David; Scott, Michael; Zhu, Chen. "IBM Virtualization Engine TS7700 with R3.0". Books.google.nl. p. 104. Retrieved June 23, 2016. ^ "linuxfederation.com". Linuxfederation.com. Archived from the original on May 30, 2014. Retrieved June 23, 2016. ^ "HPE 3PAR StoreServ Storage best practices guide" (PDF). 8.hp.com. Archived from the original (PDF) on November 4, 2014. Retrieved June 23, 2016.